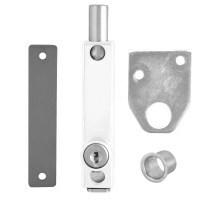 Multi purpose bolts can be fitted to an aluminium or wooden doors for extra security. 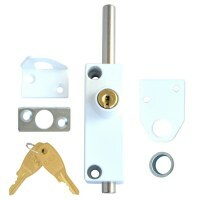 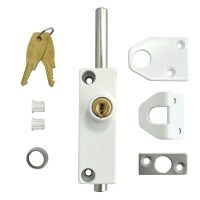 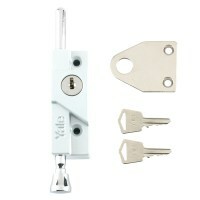 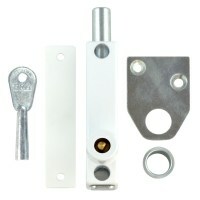 The long bolt makes these locks extremely versatile and come complete with a rotating bolt, which restricts hack sawing. 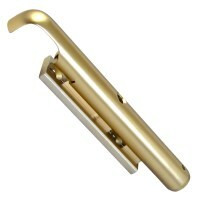 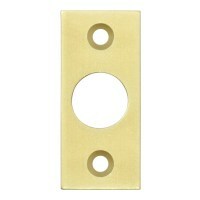 Available from Asec, Chubb and ERA in Brass, White and Grey in various styles.